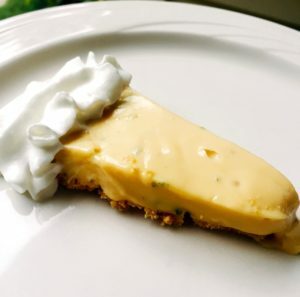 Every year as a kid, my mother used to make a dozen key lime pies for the annual Church spaghetti supper. It’s really easy, and everyone loves it. Creamy, yet tangy. 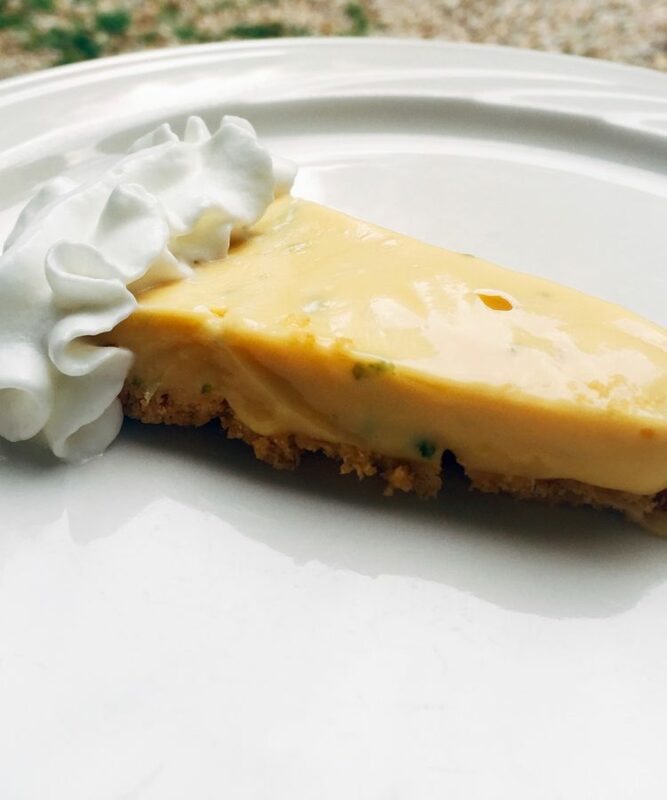 I’m not aware of the availability of graham cracker crusts in Europe… so for my Belgian friends consider this a ‘lime custard’, which you can put into dishes and serve as a custardy dessert in tiny ramekins. You can also add whipped cream on top. My pop loves whipped cream, and to be fair it does make a great decoration, together with a little shaving of lime. Stir together the condensed milk, lime juice, lime rind, and salt. Stir until thickened (which happens as a reaction to the citrus and the milk). Turn the filling into the pie shell, and chill in the refrigerator for at least 3 hours before serving. Garnish with whipped cream and/or lime shavings.